Combine dates, cherries, apricots, wine, and juice in medium bowl. Let stand 15 minutes, stirring occasionally. 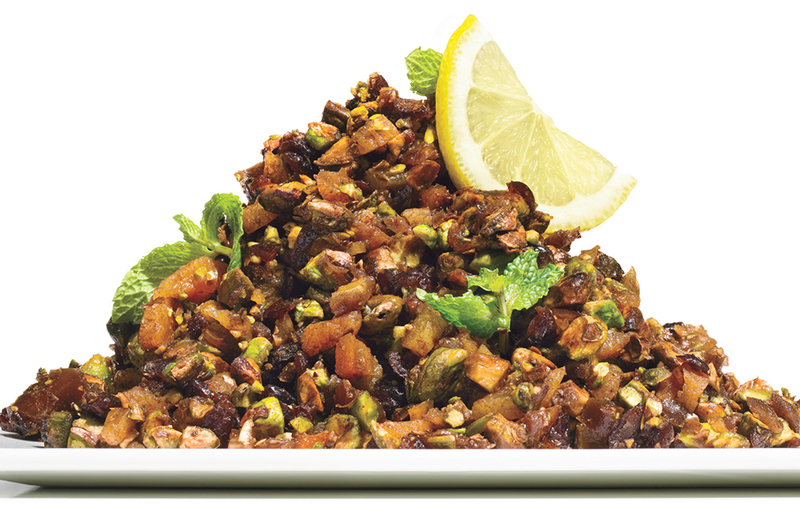 Chop pistachios; mix into haroseth. Garnish haroseth with mint sprigs. This can be made a day ahead. Cover and chill.